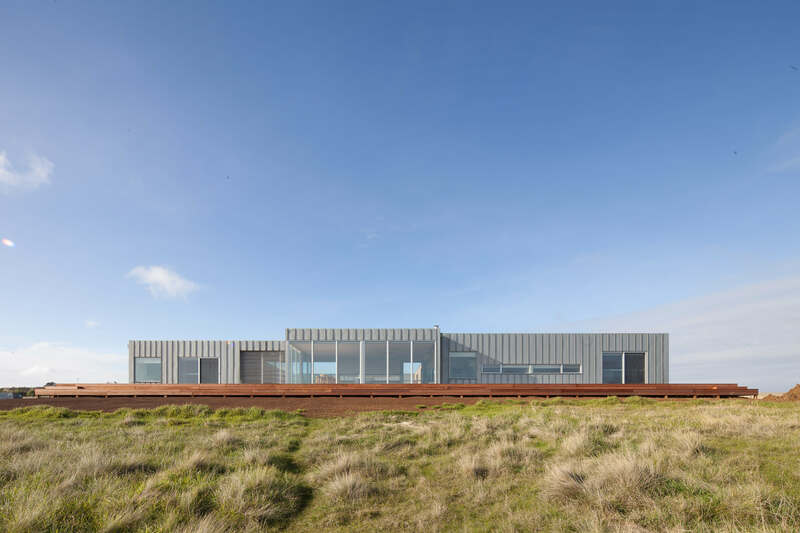 When it comes to aesthetics and performance, metal-cladding is one of those rare materials that receives universal acclaim from architects and designers. With striking finishes that can bring any project to life, their unique patterns and patinas are also highly practical – offering flexibility, durability and strength to a structure. But with so many materials to choose from, how do you make the right choice? It goes without saying that each metal has different properties, but harnessing and exploiting these characteristics requires careful consideration. How a material weathers over time, how much it weighs, and how easy it is to manipulate are all relevant factors – not to mention cost and volume availability. Project-specific factors will also come into play – the desired aesthetic, climatic conditions, chosen structural system, nature of adjacent materials and your project time frames are all important considerations. Unlike unalloyed steel which will rust quite quickly, Corten Steel has a copper chromium alloy which means it weathers more slowly and is much stronger (sometimes double the strength). Interestingly, the addition of the other elements to the steel means that it reacts to pollutants in the atmosphere which promotes a protective oxide film that constantly regenerates over time. The resulting patina ranges from red and orange to brown, and alters as the sun and rain interact with the metal. And while this ever-changing aspect of autumnal colours can give a structure a sense of life and metamorphosis, you can also choose to seal the effect at any given time. 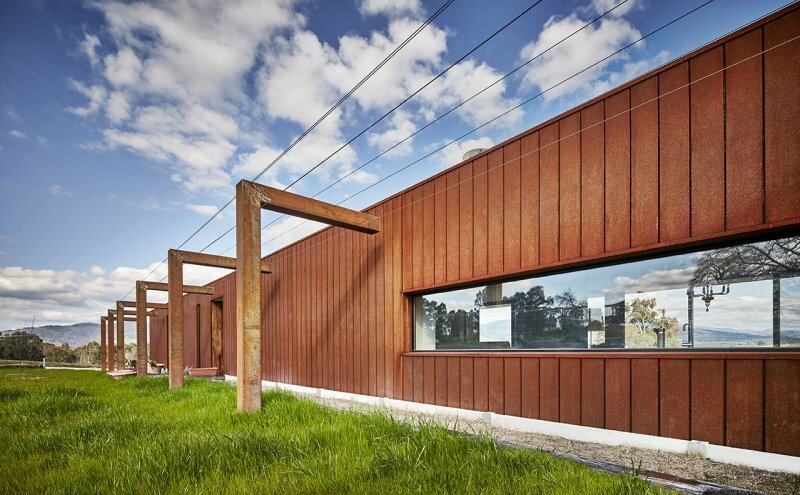 Due to these unique properties and the depth of colour that can be achieved with Corten Steel, it is no surprise that it is being used more and more for cladding – in particular because of its non-combustible quality. 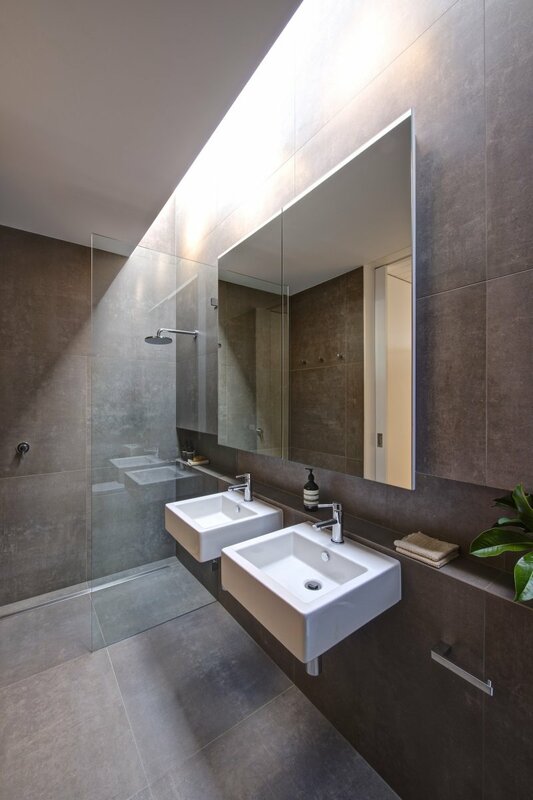 However, many architects and designers prefer to use this material as a feature element rather than for a building’s total envelope because of its prominent aesthetic. 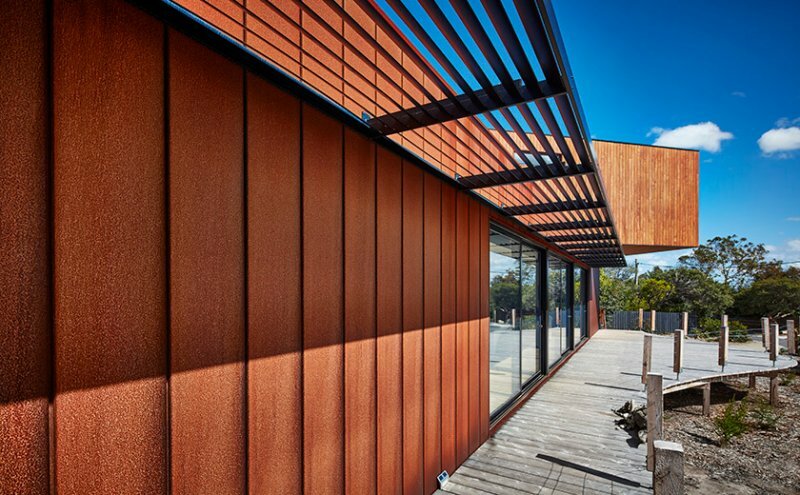 With nearly half of all new homes built in Australia using Colorbond steel, the patented product from BlueScope steel has enjoyed enormous success. Essentially, Colorbond is a steel that has been coated with a mix of zinc and aluminium to provide outstanding anti-corrosion qualities and then further treated with polyester to help bake on 22 different colours. 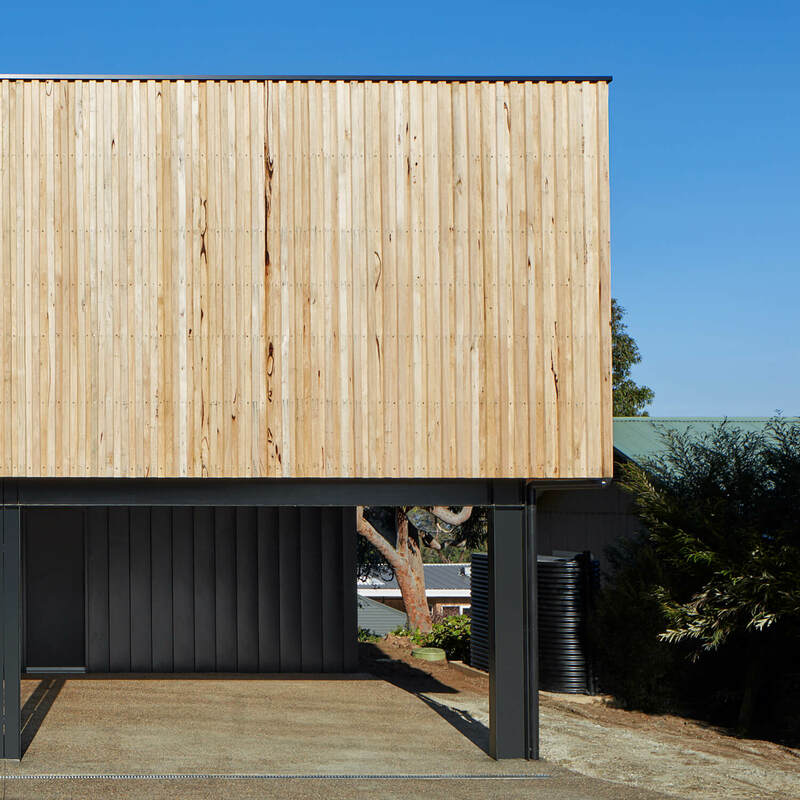 Designed specifically for Australian conditions, the brand-name Colorbond has become synonymous with long lasting protection from the elements and colours that are at home in rural and beachside areas as well as the suburbs. Lightweight and cost efficient, this innovative product doesn’t chip or scratch which means it retains an ‘as new’ look for longer while also allowing it to offer extended warranties. Importantly, for home and building construction, Colorbond also offers thermal protection from the heat which increases comfort and reduces energy expenditure throughout the Australian summer. One of the most eco-friendly construction materials, Zinc is not only completely recyclable but, due to its low melting point, uses substantially less energy during the manufacturing process. 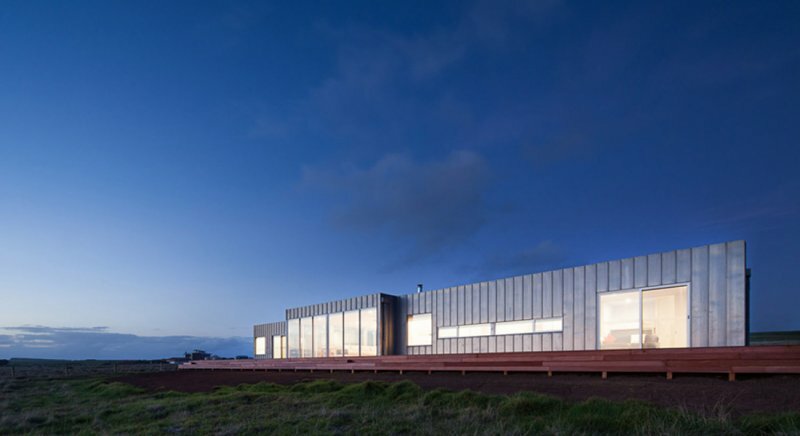 From a building perspective, Zinc also has a number of great features being lightweight, corrosive resistant, easy to work with and low maintenance. With a life span of up to 80 years, zinc is a highly unusual substance given the fact that it can self-heal from scratches and form a protective patina to guard against oxidisation and UV light. 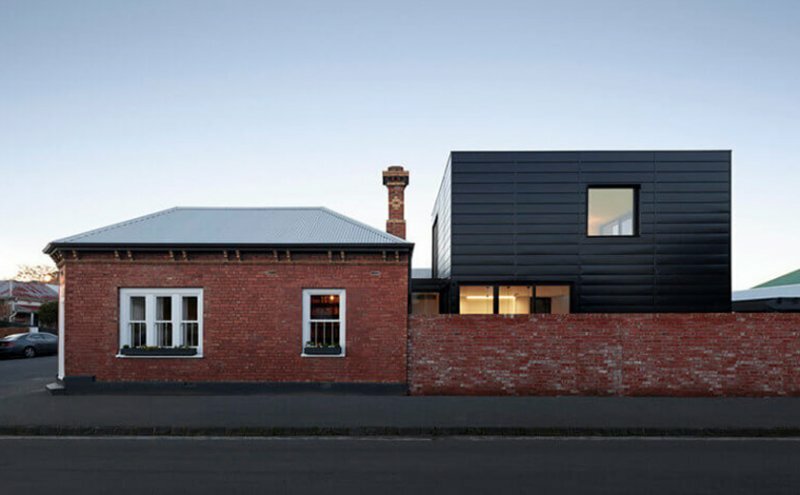 And while Zinc has the ability to stay shiny and new, many consumers also opt for pre-weathered zinc to achieve a certain look or for locations where natural conditions won’t allow an even patina to form. 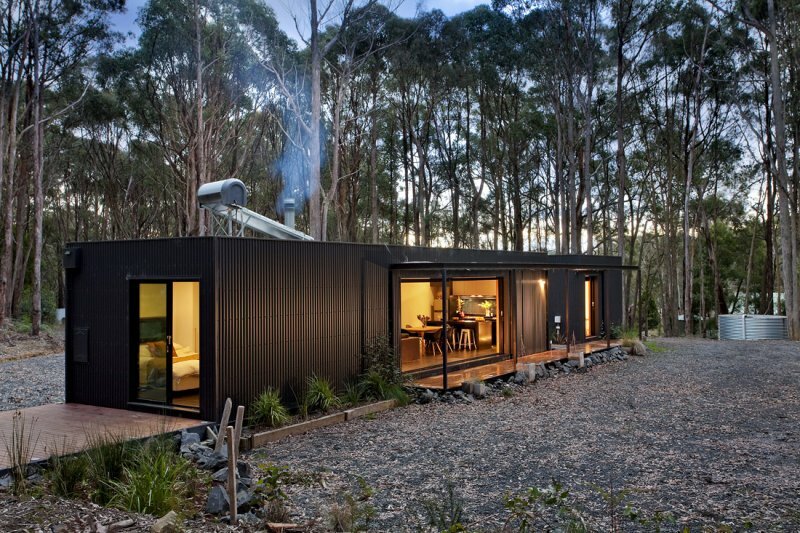 It is even becoming popular in bushfire prone areas due to its non-combustible nature. 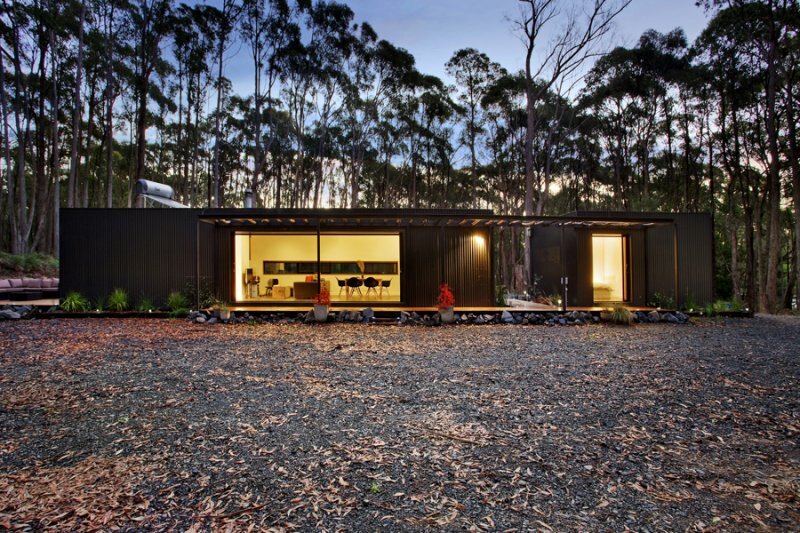 Need further design inspiration? Take a look at our Projects page to see examples of these (and other) cladding options at work.